The SkinPen Precision has finally arrived in Liverpool! You might have heard of this treatment before as it is a big hit in the USA. Men and women are using the SkinPen to reduce the appearance of wrinkles, scars and fine lines giving them the added confidence they need to embrace their natural beauty. This innovative new treatment has previously only been available in the states, but now the people of the UK can experience the fantastic results of this procedure for themselves, without having to travel across the globe. It works by using the body’s natural processes to heal micro-injuries to improve the appearance of the skin, reducing acne, scarring and blemishes. Whether you are desperate for a way to solve your skin issues or are just interested in keeping up to date on the newest non-surgical cosmetic treatments, this blog can open your eyes to the powers of the SkinPen. Read on to learn more about this revolutionary procedure. The SkinPen, also known as Precision Lift, is a new procedure that uses a medical grade micro-needling device to stimulate the body’s collagen production due to the 98K RPMs. It is the only FDA approved device currently available within the UK, and while there are lots of other devices such as the Dermapen, (which leading medics are still using) they are not FDA approved and will soon be banned. 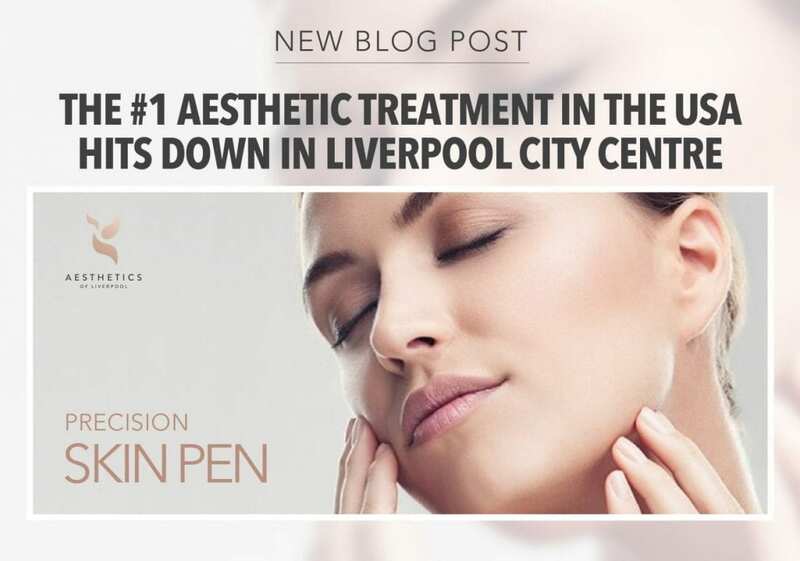 By using the SkinPen, which is a massive investment for most businesses, clinics like Aesthetics of Liverpool prove their patient focus and priority. Choosing them over a cheaper or riskier treatment is smart, as there is no cross-contamination or risks associated with the procedure. To receive it’s first-in-class FDA designation, Bellus Medical proactively worked through a three-year evaluation process to meet more than 90 validated requirements for the microneedling device, charger base and proprietary cartridge. This included extensive biocompatibility testing to ensure none of the materials are harmful to patients’ skin cells. All the research and development has led for the SkinPen to become one of the safest treatments available. The procedure is short compared to other treatments, likely lasting between 30 minutes and an hour. It all depends on how large the area is that you wish to treat, and the extent of damage to the skin. As the practitioner can change the depth of the SkinPen and thanks to its cordless design, it can be used to treat many different areas of the body. The most common areas to treat are the face, neck, chest, arms, hands, legs, abdomen and back. The SkinPen creates micro-injuries in the dermis, kick-starting the skin’s self-repair systems by automatically triggering the production of new collagen. Collagen is a protein that is created by the cells within the skin and other parts of the body. While this process may seem scary, the process is pain-free and leaves no scar tissue as the insertions are tiny. However, the whole treatment is safe and relatively comfortable, and there is minimal to no side effects other than a little redness. Micro-needling is described as a skin rejuvenation procedure, intended to improve the skin’s appearance. This makes it a must-have cosmetic treatment for those suffering from acne, eczema, redness, blemishes and other skin issues. The SkinPen creates clearer skin while tackling the appearance of fine lines and wrinkles on the face. However, the biggest advantage of this treatment is the amazing tightening effect it has on the skin. As the treatment depends on the body’s natural processes, the body produces elastin as well as collagen to heal the wounds naturally, meaning the skin becomes considerably tighter after the treatment. You can leave the procedure knowing that you will look healthier, happier and even more youthful. Skin creams, face masks and other store products can often be hit and miss with different consumers, potentially leaving you out of pocket. However, the SkinPen is effective for all skin types as it doesn’t affect the epidermis, which is where the skin pigment resides. Skin pigment is when the melanin cells (which give your skin pigment) become damaged or unhealthy, causing various pigmentation disorders. But, as the SkinPen avoids the epidermis, it means people with pigmentation disorders can still enjoy the benefits of the treatment. Before your treatment, you will have a consultation where you can show the practitioner what areas you want to have treated. From there they can advise you on what they think should be done for optimal results, as well as work out what depth they should use the SkinPen. Do you want tighter skin to help reverse the effects of ageing? Or maybe you don’t have the money for surgery to reduce your sagging skin and don’t want to run the risk of infection? Either way, the SkinPen can be the answer to your prayers, and with it now in Liverpool, these amazing results are even more accessible. If you are interested in this treatment, contact us today for more information and speak with one of our experienced experts who can help guide you on the path to perfect skin.